When you own leather goods, you know just how strong the material can be. Not only will it help keep the elements out, leather can protect your skin if you happen to fall off of a motorcycle. Leather items also last much longer than other organic materials and will hold up better than most synthetics as long as you take proper care of it. In this blog we will discuss why you need to protect your leather goods and what can cause damage to the material. When you need to clean, condition, or re-dye your leather, choose the world’s best leather care products — Doc Bailey’s. Doc Bailey’s is specially formulated to protect your leather from damage and to restore its natural suppleness. Our leather dye products will help bring faded old leather back to its former glory in a way that won’t rub or rinse off. Order today for a low-cost way to keep your leather looking and feeling as great as ever! Even though leather is an incredibly resilient material, it won’t last forever, especially if it is exposed to a number of external factors. Below, you will find a list of factors that can cause damage to leather. The sun. The sun causes damage to leather in many of the same ways that it can cause damage to your skin. The most common way that the sun hurts leather is by drying it out. While leather has been dried as part of the curing and tanning process, it still has some moisture inside it, which is what makes it bendable and supple. The heat and UV rays of the sun can remove this moisture from leather which will stiffen up and eventually crack. Grease and oils. 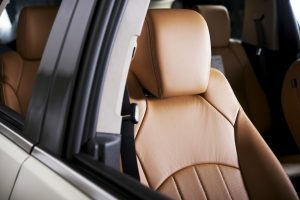 The oil from your skin, as well as any petroleum- or animal-based grease or fats, can have a negative impact on leather. It can stain leather as well as oxidize, which can prevent the tannins from doing their work. Even sweat, depending on its pH levels, can contribute to leather degradation. Time. 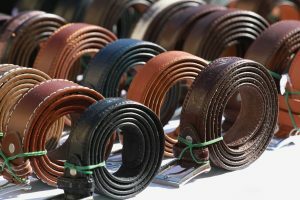 While there are some extraordinary examples of leather goods (shoes, belts) lasting for hundreds or even thousands of years, most leather just won’t last that long, even with the best care. If your leather products are out in the sun or exposed to sweat and oil, it will degrade that much faster. Good leather is not cheap, and even affordable leather goods are generally more expensive than their synthetic counterparts. While saving yourself money is a great reason to take care of your leather, it is also important because leather can protect you and because leather goods are often very meaningful to us. Taking the time to treat your leather boots, jacket, and motorcycle gloves can help protect your skin in the event of a wreck, and making sure that your furniture has been treated with a high-quality leather conditioner means that you will be able to enjoy it for many years to come. The leather seats on your motorcycle or in your car can be very expensive if you need to have them reupholstered and, because you use your vehicle every day, you probably don’t want to sit on brittle or cracked leather. If your leather starts to degrade, it can even lower the resale value of your car or motorcycle. When you need a leather cleaner and conditioner that will breathe life back into your leather goods, the only good choice to make is Doc Bailey’s. Our formula has been proven, time and time again, to work better than many other options at a fraction of the price. Shop with us today and watch your leather look as good as new again!